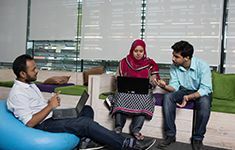 Build yourself for a wide range of career opportunities at home and abroad - start a journey of empowering societies through your enhanced skills of building Bangladesh. The world today is moving faster than ever - the most demanded skillsets in the workplace of 2020 look remarkably different than that of 10 years past. 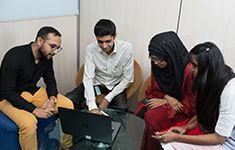 Join the Grameenphone Apprenticeship Program 2017 and Go Beyond the horizons of traditional learning. 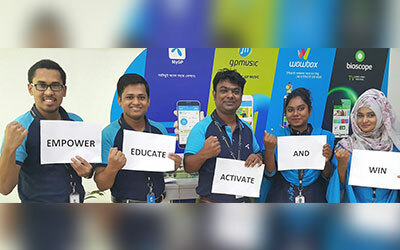 Grameenphone’s Apprenticeship Program is an innovative part-time corporate training platform for university students or fresh graduates who are looking to build themselves for a successful kick-start to their career after studies. The program offers on -the- job training, classroom training, hands-on experience and coaching from the best talents of the industry. The program is divided into 6 modules spread across 3 semesters. Trainees under the Apprenticeship program must successfully complete each semester for progressing to the next. Completion of all 3 semesters marks the conclusion of the training program. Graduating trainees under the Apprenticeship will be awarded and recognized through a graduation ceremony. If you are passionate learning the skills and trade of the telco and corporate industry and tick all the criteria below, apply right away! Receive valuable feedback about your skill development from industry experts and expand your professional network. Receive stipends to fund your education. What are the evaluation criteria for the program? Final Selection is subjected to successfully passing reference checking. Academic Transcripts and other documents have to be submitted after initial shortlisting. If your application is shortlisted, you will have to submit your university transcripts and certificates. The Apprenticeship Program is a semester based training platform, with each semester extending to 5.5 months. Are graduating apprentices offered employment offers? The apprenticeship program is a skills and capability development platform and is independent to any employment assessments or offers. Will I be offered a stipend during the program? Yes. All apprentices are offered stipends. Details of the stipend are shared with candidates during the selection process. 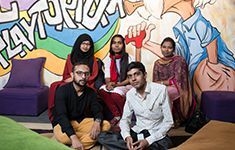 Is the program based in Dhaka? 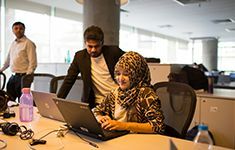 Trainees may be placed any of the Grameenphone Offices in the country. Location details will be shared prior to joining. I do not meet the age requirement. Can I still apply? No, candidates have to meet the age requirements as per Apprenticeship program guidelines. You may view other opportunities in GP where you would be eligible here. How do I know about placement opportunities in the Apprenticeship Program? 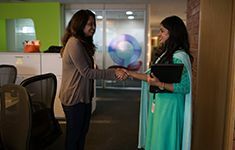 Available placement opportunities for trainees will be shared in GP’s Career Page and in LinkedIn. You may also contact your university’s career office for further details.